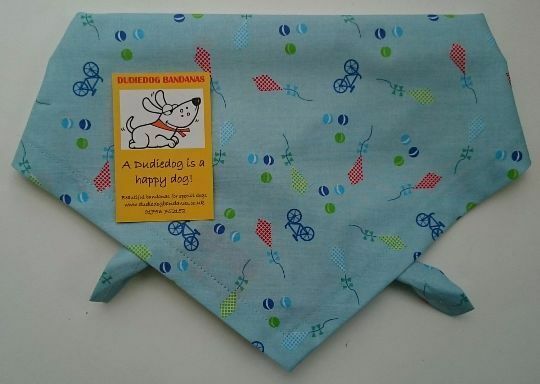 This gorgeous pale blue dog bandana has a summery print incorporating kites, frisbees, bicycles, and tennis balls. It's a feel-good bandana and makes you think of summer holidays and long, warm summer days. This bandana is from our premium cotton range...it's a designer cotton with a lovely soft and smooth feel. 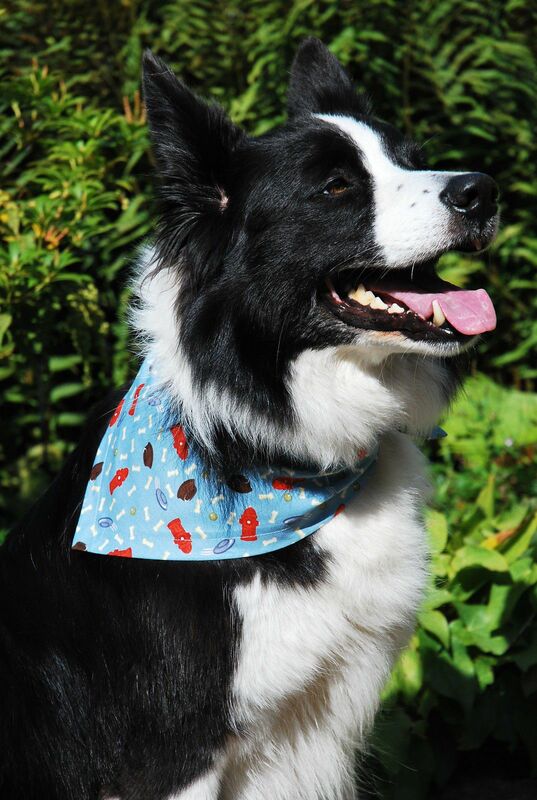 This bandana is a perfect addition to any fashion conscious dog's wardrobe! It would also make a great gift for all of your favourite doggy friends! It is the perfect bandana for playing out at the park, or for any occasion!